Sound Transit invites locals to attend SR 522/Northeast 145th Street corridor project meetings. Sound Transit will hold a series of public meetings where the public can receive updates and help shape bus rapid transit (BRT) on SR 522 and NE 145th St.
Sound Transit will share new information about project refinements based on further technical work and public feedback at upcoming community meetings. Kenmore will host two meetings on Sept. 20 from 1 to 3 p.m. and 5:30 to 7:30 p.m. at The Hangar at Town Square, 6728 Northeast 181st Street. Lake Forest Park will host two meeting on Sept. 25 from 1 to 3 p.m. and 6 to 8 p.m. at Lake Forest Park City Hall, 17425 Ballinger Way Northeast. Bothell will host meetings on Oct. 8, from 1 to 3 p.m. and 6 to 8 p.m. at UW Bothell, North Creek Event Center, 18225 Campus Way Northeast. Seattle will host meetings on Oct. 17, from 1 to 3 p.m. and 6 to 8 p.m. at Shoreline Unitarian Universalist Church, 14724 First Avenue Northeast. Each community meeting will give attendees the opportunity to provide input on parking, sidewalks and traffic configurations in the surrounding area. Those who aren’t able to attend can provide comments through an online survey at sr522brt.participate.online. The survey will be open through October 19. The SR 522/NE 145th BRT Project will provide a bus-based transit service from north Lake Washington communities to the new Shoreline South/145th light rail station. Riders will be able to transfer between the SR 522/NE 145th BRT, I-405 BRT, Link light rail and other transit service provided by Sound Transit, Community Transit and King County Metro. During 2018, Sound Transit will consider and evaluate refinements to the representative project reviewed by voters in 2016 and recommend a proposed project to the Sound Transit Board. The board will then advance the project into the conceptual design and environmental review phase in 2019. Construction will begin in 2023, with service starting in 2024, according to a press release. In addition to launching BRT service, Sound Transit is simultaneously working to extend light rail north, south, east and west, opening new stations every few years to form a 116-mile regional system by 2041. 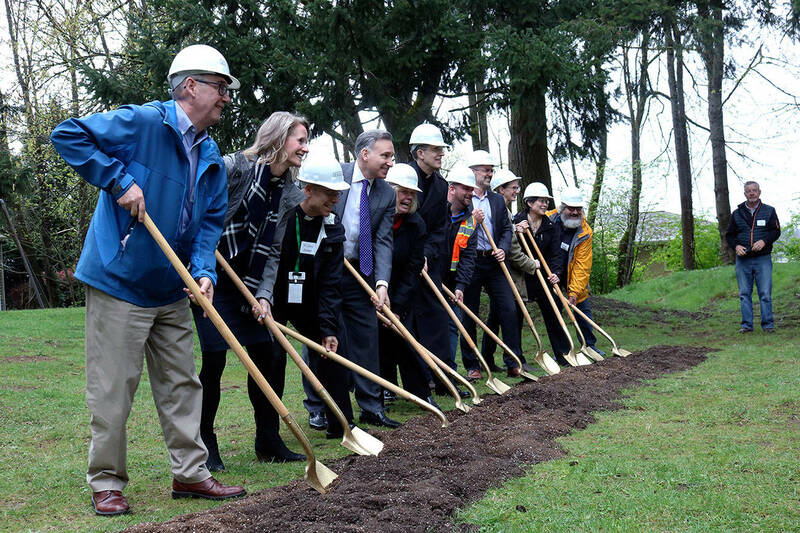 The agency is on track to open extensions to Seattle’s University District, Roosevelt and Northgate neighborhoods in 2021, followed by service to Mercer Island, Bellevue and Redmond’s Overlake area in 2023. Additional extensions to Shoreline, Mountlake Terrace, Lynnwood, Kent/Des Moines, Federal Way and downtown Redmond are planned in 2024. Further light rail extensions are scheduled to reach West Seattle, Fife and Tacoma in 2030; Ballard in 2035; Paine Field and Everett in 2036; and South Kirkland and Issaquah in 2041. Additional investments will expand service on the Sounder south commuter rail line and expand access to regional transit services across the region.